Easily walk to 3 parks + trails from this wonderful home. Near Weaver Hollow Pool and water slide, 3 elementary schools. New roof, new windows and new exterior paint welcome you to the spacious front porch. A formal entry beckons you inside to a large living room. Down a short flight of stairs is an ample family room while upstairs is a coveted 4 bed, 2 bath arrangement. 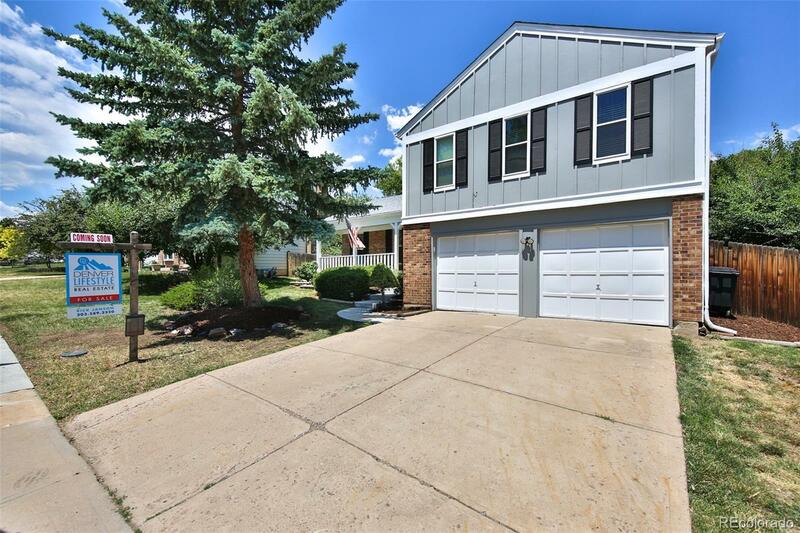 Just 5 minutes from the foothills and less than 10 to SuperTarget, Costco and more, you'll be thrilled to call this updated home with large deck and shaded back yard home. Move-in ready with room to customize. With an RVM (automated valuation) of $405,000, you're moving in to instant equity! Living room wired for surround sound.